Monmouth County Divorce Lawyers, Attorneys | Law Office of Andrew A. Bestafka, Esq. The decision to end a marriage can be an extremely difficult one. However, once the decision has been made, there are a number of different steps which must be taken, including filing for divorce to terminate the legal union between spouses. Unfortunately, this process can be quite complicated, particularly if the relationship has become contentious. In order to ensure that your rights and interests are fully protected, it is crucial that you have an experienced legal professional represent your case. If you or someone you know is considering a divorce from their spouse, the services of a qualified legal representative can be a tremendous assistance during this difficult time. Contact the Monmouth County divorce attorneys of the Law Office of Andrew A. Bestafka, Esq. today at (732) 898-2378 to speak with an experienced, understanding member of our legal team about your rights and options in this trying situation. By providing our clients with the best possible representation of their needs, we strive to make this process as simple and painless as possible. If you are considering filing for divorce, or if your spouse has already filed for divorce from you, you are likely in need of support more than anything else. Support from your family, friends, and loved ones is essential at this time. What is also essential is having the legal support you need to get through the divorce process and retain what is most important to you. During the divorce process, it is important that you feel like your voice is heard and that your wants and needs are being taken into account. At the Law Office of Andrew A. Bestafka, Esq. we provide our clients going through a divorce with understanding and knowledgeable representation to ensure that their needs are met. We have been serving Monmouth County residents for over a decade and have earned a reputation for fair and honest representation. Not only has the American Institute of Family Law Attorneys recognized us as one of the 10 Best Firms in Client Satisfaction in 2015, but we also have many satisfied clients who can attest to our ability to help them in their time of need. The lawyers at Law Office of Andrew A. Bestafka, Esq. are here to help you. Several factors affect the amount of time that your divorce may take. Divorce proceedings can last as long as it takes for the parties to settle and agree on the various aspects of the case. If both parties seem to approve of several elements of the post-divorce agreement and there are few disputes, you are more likely to reach a faster resolution than couples that cannot agree on certain aspects of the case quickly. Each spouse will experience different challenges in each case. Some divorce options will have quicker resolution times than others due to the nature of the divorce option. To determine which option is best for you and your situation, please contact a divorce attorney today. What are the separation requirements in New Jersey? While there are my aspects that are required to initiate and finalize a divorce, some states require a couple to be separate for a specific amount of time before they can file for divorce. However, in New Jersey, if the couple has been married for more than six months, a waiting period is typically not required. The reason for this is that because a waiting period is not needed, you must prove to the court that the irreconcilable differences have persisted for more than six months. If a party can show adultery occurred, a divorce may begin immediately. However, each case is different, and each case is highly circumstantial on the specifics of your case. While there are options for divorce that aim to keep you and your family out of the courtroom and out of the court system, most cases still require you to go before a judge, other official acting as a judge, or a magistrate to prove residency requirements. Even in an uncontested case, you may be required to meet with a judge to ensure that your paperwork is in order which typically takes less than an hour. However, for a contested case, you will be required to have a more formal hearing in front of a judge. A collaborative divorce is a good option for those who have agreed on many issues concerning the divorce but need help settling final matters. In a collaborative divorce, each party hires their lawyer and attends meetings to reach a martial settlement agreement. Collaborative divorce is often quicker and cheaper than an option that may take your case to trial. This option also allows you to walk away with your integrity and dignity intact if you and the other party can come to an agreement that works for both sides. Which option is best for my children? The divorce of two parents will naturally affect children at any age emotionally. Therefore, it is essential to make this process as simple and as peaceful as possible to protect your children. If you and your partner are on civil terms with one another, a collaborative divorce may be one of the best options if you want to keep your children out of the court system. Collaborative divorce allows both parties to develop a post-divorce child custody plan that works for both sides. You get to decide what is best for you and your family instead of the court deciding for you. According to the Centers for Disease Control and Prevention (CDC), in 2015, New Jersey had a divorce rate of 2.8 for every 1,000 residents. Additionally, the National Center for Family and Marriage Research conducted a study, which found New Jersey to have one of the lowest divorce rates in the nation, and although the divorce continues to decline each year, there are still a number of families dealing with divorce and the emotional and financial stress that a divorce can have on the family. The report shows that 115,378 out of the 8.944 million people who live in New Jersey have gone through a divorce at some point in their life. While these numbers are not as high when compared to other states, we understand that these numbers are not just statists – they represent real people and real families who have had to come to terms with the end of marriage. The attorneys at Law Office of Andrew A. Bestafka, Esq. understand how hard and challenging a divorce can be and how it can affect your life and your children. We are here to help you settle your divorce with as much ease as possible. Let us handle the legal details of your divorce for you so that you can focus on what’s truly important. Contact the Monmouth County divorce lawyers of the Law Office of Andrew A. Bestafka, Esq. 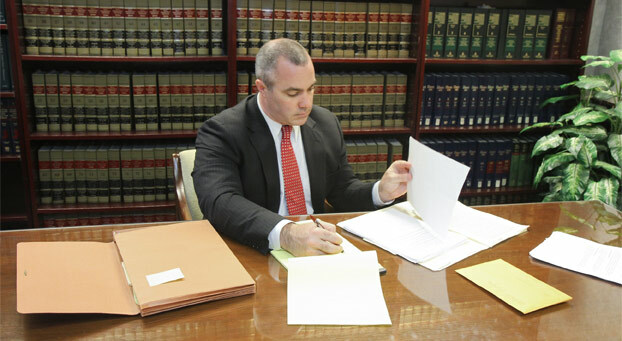 at (732) 898-2378 today to discuss the details of your situation with an experienced legal professional.